Have you seen something like this before? The reader has a vote in how much the author is paid for the article. I say a vote because I don’t know if the author is paid the amount I picked. Is this a good way to pay web writers? It is based on readers and reader opinions about the content. I found it at China Highlights.com. I still want to sell my art as ecards, online. Today I found someone with a good plan, selling the cards with a paid membership to the site. Ojolie offers a free account, to send the ecards she offers without charge. But, I think, I would rather make the ecards a subscriber only thing. Art online is just too easy to rip off. At least I could get a year’s subscription before giving access to the art. Of course, I still don’t know what software to use. Something like a catalogue, but then it needs to send a png file, or pdf. I think I would include envelopes too, a bonus should people print the cards. So much to consider when you start to think about all the details. This (see below) is a screenshot from Ojolie, how her pricing works. I’m mainly posting this for myself. So I can look back and remember what I thought I would do. Are you sure people can find you online? What if you change your Twitter account? What if a web service you rely on shuts down? What if… ? 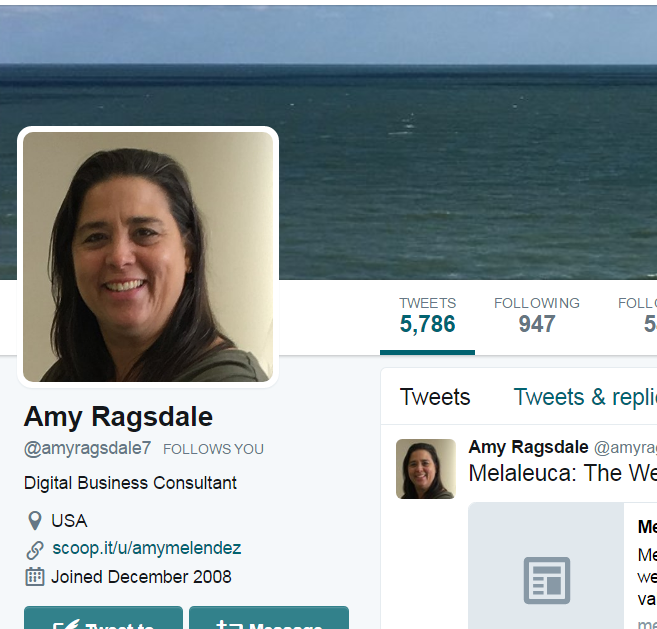 Amy (see images) is my example tonight because I did have to track her down from a broken Twitter link and nothing else but the Scoop.it profile I was already looking at. 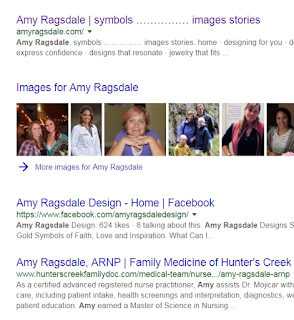 Google search results were not a big help because her name has changed and the domain for her current name is not the same person. So I searched Google for both names (together) and did find her new Twitter account among the search results. (Turns out I was already following her there). If you rely on web services, like social media, for your web presence you could be leaving it up to chance. Not everyone wants to buy a domain and run their own site. It’s another expense, another new thing to learn and another drain your your available time too. But, consider something simple like creating a quick profile on Blogspot. Yes, it is a web service too, so it could disappear but it has been reliable for a very long time. All you need to do is ceate an account (or use the account you forgot you still had) and set up a blog. You don’t need to post regularly. It’s just a place to have your name, some general information and your links available. If you can get your name, great. (Example – yourname.blogspot.com) Likely you won’t find it available. So pick something clever for your account – consider your business or niche and go from there. Use the basic template/ theme. Add colour to the header if you want but keep the content easy to read. Add one post with links to your social media accounts. Include an image if you like. Use your name (or whatever you call yourself online) as the title of the post. Use the same for a category and tags with that post. Publish it and save the link in your web browser bookmarks. Any time you change a social media account use that link to update the Blogspot post. Next time someone goes looking for you online you have this as a base of operations. It’s not perfect but it’s simple and free. As an option you can buy a domain and have your Blogspot/ Blogger site on that domain instead of the blogspot.com web address. Of course, there are other free web hosting services. I like the history of Blogger and the fact that Google currently runs it with few limitations to how you use it. Posted on May 29, 2017 Categories online business, social media, web publishingTags Blogspot Blogger, Google, media, TwitterLeave a comment on How Do People Find you Online?